Last week I had the opportunity to travel to the Gold Coast for a conference. It meant travelling on Sunday arvo to arrive in time for the Monday afternoon sessions. After flying to Brisbane from Perth, I hired a car and drove to my hotel at Surfers. The flight over on Qantas was good, it was another 4 hours to spend studying for the PPL exam. The focus at the moment is on Navigation. When I catch up on my blog entries for the three Nav flights I haven’t shared, you’ll know why. On waking up early on Monday, I checked out the conference schedule, and my first session wasn’t till 2pm. So that left time for a beach run and a good few hours of work (in peace!). By about 9:30, I was being distracted by the odd plane flying past and the occasional whine of the Jet Ranger helicopters ferrying the tourists past. It didn’t take long for my browser to be requesting Google for the nearest airport and flight schools. 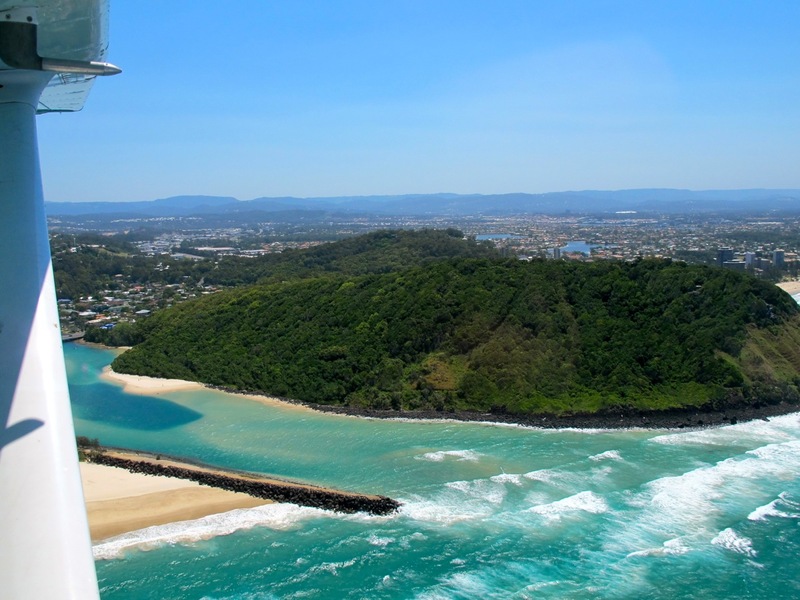 There were two listings for Coolangatta Airport. I figured that if on the remote chance I could get an hour with one of the flight schools before the conference started, I’d go for it. 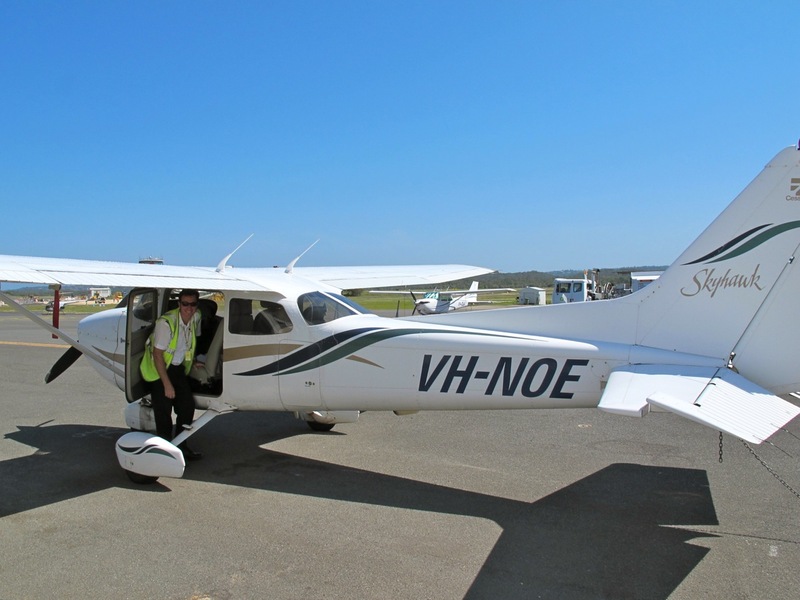 The first I called Australian Wings Academy and was put straight through to the CFI, Nathan. He was a friendly guy and after some deliberation said he could get me a Cessna 172R and an instructor who could show me about. We discussed a route and it was locked in!!! 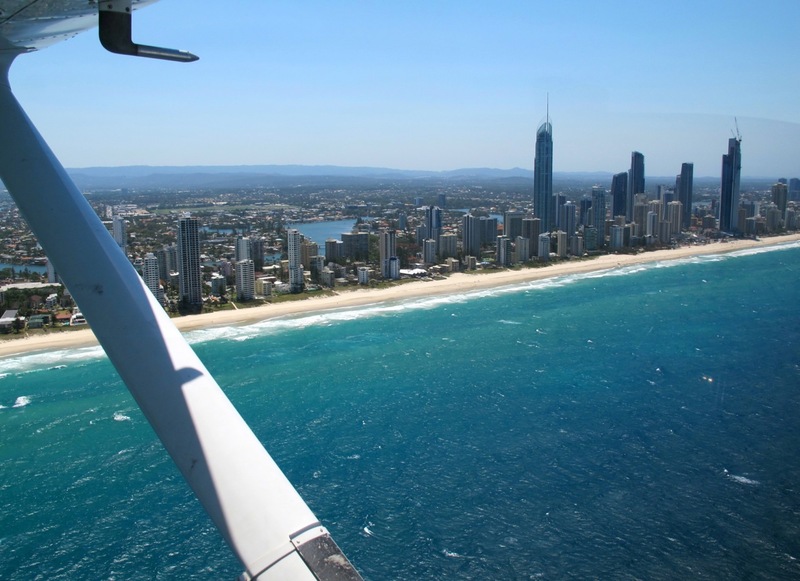 On leaving Surfers, it was a good 40 minutes drive to Coolangatta Airport. The traffic on the Gold Coast was surprisingly heavy, not helped by significant preparation being put in place for the schoolies event due to be kicking off later in the week. On arrival at Air Wings Academy, the friendly receptionist took me in to meet Nathan, the CFI. We chatted for about 15 minutes and worked out he’d done his IFR training at Jandakot Flight Centre. He also had worked at Air Australia for a while as well. It is a small world this flying caper! After all that was done, Nathan introduced me to Cameron, who was to be the instructor who would accompany me. Cameron had already pre-flighted and submitted our flight plan. He was pretty much being a gentleman to even fit me in, let alone let me rock up and just fly. See Air Wings Academy has the contract to train the Air Asia pilots. Cameron had to leave a couple of students to work on their theory so he could accommodate my flight. 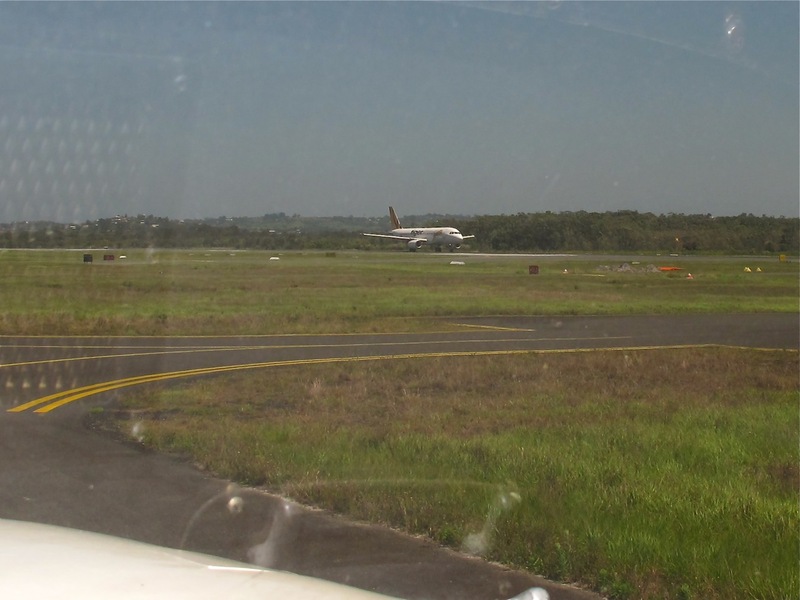 Coolangatta Airport is a Class C International Airport. This means, it has considerable jet traffic and is fully controlled like Perth Airport. Sweet! We got the first sight of this being an International Airport when a Tiger Airways Airbus landed as we taxied out. There was also JetStart Airbus who we could hear getting permission to pushback as we approached the runway. As we taxied out we stopped short of the runway and did our run ups. See there were no run up bays here. On making our ready call, we were given immediate clearance to take-off and told a hill in front of us was our aim point on lift-off. In Class C airspace, the tower give far more instructions, which actually makes life pretty easy. As we approach the hill in front of us, we were given our permission to turn out over the water for our 500 foot flight north along the shore of the Gold Coast. After about 4 minutes of us being in the air, the JetStar Airbus was given clearance to take-off, and no doubt climbed well above us while we maintained our low level altitude along the coast. The first thing you notice, is that the scenery is not flat, brown and boring, rather it is green, mountainous and interesting. This was pretty much the theme for much of the flight. Our route was to take us the full length of the Gold Coast to Southport, then North West for about 10 miles before to overfly DreamWorld, then South West out into the fantastic mountains! We’d have to remain at 500ft till Southport. However, before we hit SouthPort, the size of the buildings at Surfers Paradise becomes more real. They tower well above our 500ft. Once at Southport, we finally climbed above 500ft. As we did, the scenery finally started opening up in front of us and more amazing waterways. Cameron gave me a run down of the islandswith amazing looking houses. He simply referred to them as the “Haves” and the “Have nots”. The “Have nots” in opinion still looked to have plenty even on their canal frontages. 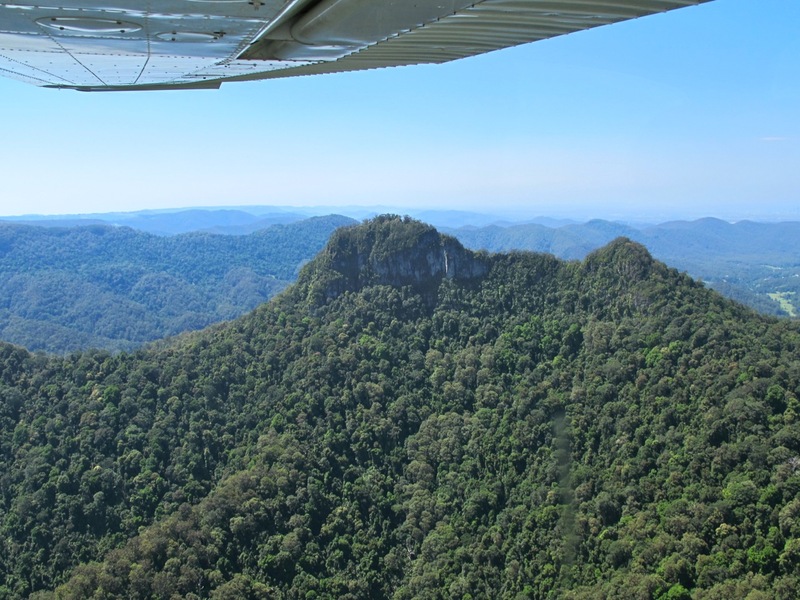 After overflying DreamWorld, we headed out towards the amazing looking Hinterlands. The hills seemed to quickly rise towards us, but we had to wait till clearing the altitude boundaries. At this point we climbed to about 4500 feet. The first thing that dawns on you is that their is nowhere to conduct a forced landing. So instead for the next 30 odd minutes you focused more on enjoying the scenery and listening closely to the hum of the Lycoming power plant out in front. We flew a track through the Hinterland that had us flying between peaks and around the highest mountain in the area. It was just awesome! Once rounding the mountain, there was a naturally valley between the hills that we did a cruise descent to Murwillumbah, whereby we’d levelled off at 1500 feet. Cameron didn’t mention it to me before, but he jumped not he radio to Coolangatta Arrivals and requested airways clearance, followed by a surprise. He requested clearance for a 500 foot run along the Tweed River. Obligingly the tower granted his request and said to report at Point Danger (what a cool reporting point name). “Right, this is a big treat”, he said, “we don’t often do this, we only show our students this amazing little secret if they have done really well.” So cool, my first flight with them 🙂 he continued, “The rule is, you need to desend now to 500 feet and stay directly above the water. You can’t overfly the houses at this height, so you need to stay centred on the water.” We joined the river about 3 miles before Murwillumbah over the Green Hills caravan park. I tackled the first bend in the middle of town with a 30 degree angle of bank turn. My smile was huge and it felt pretty easy peasy. Cameron commented that the turn was good, but that was only a warm up! He was right, the turns really started to tighten at the town of Tumbulgum. This was probably the second most difficult. It required a right 60 degree turn, full power and a wrestle with the yoke to make the turn and maintain our 500 feet. Pulling out of the turn was almost as aggressive as the entry, with boot fulls or opposite rudder to balance the turn exit. There was another tight turn a few more miles up the river, however there were no houses, so not as bigger challenge. Then it approached! What was to be our last big turn meant flying directly towards a hill which towered well above us. It was covered in trees and as we approached, the effect of the wind coming over the hill was very apparent. All Cameron said was, “this is the fun bit!” He was right, it required a 60 degree turn, with the hill no more than 50 metres in front and air waves creating significant turbulence. Lets just say it was bloody awesome!!! In the hours earlier, I’d never have thought I’d be practicing 60 degree angle of bank turns at 500 feet flying directly at a hill! Mint! After this excitement, it was pretty must straight forward along the river till the tower identified us at Point Danger, nearing the end of the Tweed River. We were requested to join right base. It was at this stage that for the first time, “caution wake turbulence” actually made me think. As we were turning base a jet was touching down in front. With our low altitude, it meant those spinning vortexes would have been looming above us. Cameron said that it is real for them every flight, but said he hadn’t experienced anything severe to date. We setup for approach and landing, doing all our usual checks. There was a pretty solid cross wind of around 16 knots. Cameron warned me that there was quite severe wind sheer earlier. The approach was fun, I crabbed it in, but you are met with waves that make you lift and sink in a continuous motion. Nearing touch down, I setup for the cross wind and flaired, letting the plane take her time to find the ground. There was significant float given we’d used only 10 degrees of flap. The one thing that came obvious during the flair, was that we were a little higher. I mentioned it to Cameron and he said that was quite common. The reason being that the runway is considerably wider that your typically general aviation runway and it creates a bit of a visual illusion. It didn’t matter, I maintained the cross wind technique and we touched down lightly on our right wheel before bringing the other wheels down. Cameron made comment that the landing was a lot better than he expected, sweet! We taxied in and we packed the aircraft away. The experience was awesome and if you ever find yourself on the Gold Coast, look up Cameron or Nathan at Air Wings Academy. Request this exact flight plan and have a blast! Big thanks to both of these guys and the fantastically big smile they left me with for the rest of the week! On reflection after, I wished I’d done two things. Firstly, recorded the GPS track. Secondly, had my GoPro strapped firmly to my head. It would have been awesome to watch! So the only thing I can now truly recommend now is to go and do it yourself. If you want somebody to go with you, I’d fall over myself to do it again!!! 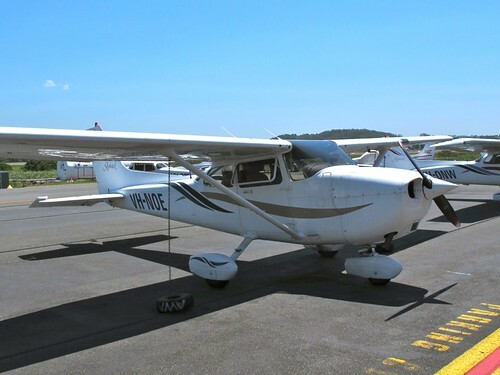 This entry was posted in Crosswind, Pilot License, Travels and tagged 172R, Australian Wings Academy, Cessna 172, Coolangatta AIrport, crosswind, DreamWorld, Gold Coast, Scenic Flight, Sea World, Southport, Surfers Paradise, VH-NOE, wake turbulence. Bookmark the permalink. That sounds like to most fun a man can have with his pants on! Awesome, I’m going to do that next time I’m in BrisVegas. Thanks for sharing mate. That’s sounds bloody awesome! I am seriously considering this when I go over there soon. Thats awesome mate! I am from Brisbane and will be heading over there at xmas time. Staying at the Gold Coast too! Looks like I will be doing that on one of the days!